American Wolf: The Top 10 Most Underrated Beatles Songs Of All-Time. The Top 10 Most Underrated Beatles Songs Of All-Time. The Beatles have perhaps the most well-known discography in rock & roll--all 217 of the songs they officially released are classics in one way or another. Tons has been written about the likes of "I Want To Hold Your Hand," "Strawberry Fields Forever," & "Hey Jude," but what about the songs that are overlooked & forgotten, obscure & esoteric; it is for these songs that I make this list. John Lennon, Paul McCartney, George Harrison, & Ringo Starr all contributed worthy songs that have fallen through the cracks of modern appreciation, songs that are overshadowed by the more-celebrated & recognized songs of their career. I didn't use any hard-&-fast rules for this list, I just tried to think of The Beatles songs that have almost no culture identity, ones you never hear on the radio, tunes that are rarely brought up in print. My only rule was that it had to be a Beatles original as opposed to a cover, but after that, anything was game. I ended up leaving out anything from their first two albums because their early material is all pretty well familiarized & well-rated, & the few songs that weren't (say, "Misery," "All I've Got To Do," "Not A Second Time") weren't good enough to merit a list like this. Chalk it up to the ubiquitousness of their early years, where basically anything that was good-to-great was released on a single in the US & devoured by an adoring public in their native land. Plus, can anyone say that songs like "There's A Place," "I'll Get You," or "It Won't Be Long" (each of which were strong contenders for the list) are underrated? Aren't they all just fairly famous & fairly well rated? Yes, a song like "There's A Place" should be better-rated than it is, but it's not as neglected as some of the choices here. At least in my humble opinion. Also, I wanted to put this list together within a weekend, as opposed to a lifetime. So what follows is one fan's highly subjective list. Thanks to its surprise placement on hits collection "The Blue Album," "Old Brown Shoe" is perhaps the most recognizable of the underrated Beatles songs, but even people who've heard it for years on this set let it pass by without really hearing it, out-shined by its flashier A-side "The Ballad Of John & Yoko" & the Abbey Road material like "Come Together" & "Something" that follow it. But "Old Brown Shoe" deserves to be heard in its own right. This is one of Harrison's true gems, featuring some of his funniest, slyest lyrics since "Taxman" ("I want a love that's right, but right is only half of what's wrong," it begins) & a deep, muddy groove that ignites the band into one of their finest (& final) truly ensemble performances. Just listen to the way Lennon shouts "Hey!" with joy in the last verse. There is a ragged warmth to "The One After 909" that transcends the petty bickering of the atmosphere in which it was recorded. If it sounded like they'd been playing it forever, it's because they had. One of the earliest Lennon-McCartney collaborations, the song was nearly a decade old and was recorded on at least two separate occasions--once with the Stu Sutcliffe-era 1960 demos & once as a potential B-side for "From Me To You" three years later. In the nostalgic, heady days of the ill-fated "Get Back" project, it was trotted out again & they completely nailed it, with a key assist (no pun intended) by Billy Preston. Oddly, it's the only Beatles song about trains--a sort of lighter, Liverpudlian take on "Love In Vain." When Ian MacDonald wrote about this song in his classic book Revolution In The Head, he said simply: "Self-produced (for the planned Yellow Submarine cartoon feature (in one six-hour session, this repetitive McCartney singalong displays the group's misplaced faith in the childlike, being trite enough to have been chanted for several seasons on English football terraces." I respectfully beg to differ. First of all, the song isn't trying to be anything more than it is--a children's song. Secondly, I hear it as a Lennon-McCartney collaboration in the classic sense, with McCartney contributing the verses & Lennon writing the bridge. Third of all, it has a performance that more than carries its spirit, especially once Lennon's ukulele rhythm comes in & Starr's Spike Jones-quality percussion finish. Finally, for a song that usually dismissed as a children's song, it has some knowingly adult lines ("Can I take my friend to bed?") that make it something else entirely. All told, it's a song that delivers a whole bigger than the sum of its parts--like its title implies. The second of three songs on this list from Yellow Submarine, which may seem like a lot, but it must be remembered that the songs on that album spanned a three-year recording era. "Only A Northern Song" was made during the sessions for Sgt. Pepper's Lonely Hearts Club Band but was shelved, presumably for being too dark for that album's optimistic aesthetic. This is a shame as less-interesting material like "Fixing A Hole" made the cut instead, not to mention Harrison's replacement, "Within You Without You," which has divided audiences since its first release. I much prefer this oddity, an apparent dig at Harrison having to write songs under Lennon & McCartney's "Northern Songs" publishing company, which spoke to an underlying skepticism & cynicism that has aged much better than nearly everything else on Sgt. Pepper. While I favored the obscure for this project (literally one-half of The Beatles' songs from the Yellow Submarine LP made this list), I was also drawn to the under-appreciated work on some of their celebrated albums, such as this & the next song on Rubber Soul (perhaps because Rubber Soul is itself the most underrated of The Beatles' stone-cold classic albums, at least to modern ears; I personally think it's finer than anything else except Revolver & Abbey Road). But what about this track? "Wait" was the first song recorded for Rubber Soul--or more tellingly, the last song recorded for Help!, which The Beatles thought it was not strong enough for. Luckily, they picked it up again in their recording sessions for Rubber Soul some five months later, making it a worthy track on the LP. The spirit of the melody carried by the urgency of the percussion make it among the most exciting tracks they ever cut--plus with Lennon's verse & McCartney's bridge, it was one of the true 50/50 Lennon-McCartney compositions of this period. From its conception to its execution, "Wait" makes it clear that it will do everything except what its title says. When I combined a baker dozen's worth of best-song Beatles lists to make my own poll-of-polls The 100 Greatest Beatles Songs Of All-Time in 2015, I was shocked to find that among the songs not to make any list was "I'm Looking Through You." Perhaps Rubber Soul is simply too packed with classics, but "I'm Looking Through You" is a great song that combines McCartney's penchant for melody with clever lyrics built on internal rhymes & killer bridge. It is also one of the best songs to capture The Beatles' transition from straight-ahead rock to the abstraction of their psychedelic music, as "I'm Looking Through You" creates a surreal lyric that demands to be taken entirely literally. Also, like the best songs from Rubber Soul (such as the more-celebrated "Norwegian Wood (This Bird Has Flown)" or "Girl"), it provides more questions than answers, while its organ blast at the refrain is one of the most soulful parts of Rubber Soul. A haunting nursery rhyme of a song, "Cry Baby Cry" is the last song before "The White Album" goes off the rails with the challenging "Revolution 9" & the saccharine "Good Night." Taking the form of a folk ballad, The Beatles seem to reach back into a world that never really existed, which, lifted by piano & pushed forward by the drums, seemed to echo the music made by Bob Dylan & The Band the previous year in their legendary Basement Tapes sessions. Perfectly answering Lennon's riddle wrapped in an enigma is the cold finish into McCartney's "Can You Take Me Back?" coda, rocking back & forth mysteriously into the ether. As the twisted sounds of "Revolution 9" followed, it was clear the answer was no. The finale of the forward-looking second side of the UK version of A Hard Day's Night LP, "I'll Be Back" was one of their most affecting ballads. Originally conceived as a waltz in 3/4 time, it proved too tricky to sing & was reinvented in straight 4/4 time. (Check out The Beatles' Anthology 1 for the hilarious results of the former before settling into the latter.) 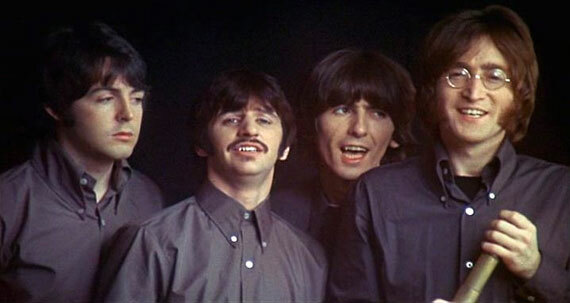 Part of what makes the song so special is that it contains not one but two distinct Beatles bridges (the "I wanna go" verse & the "I thought that you would realize" verse), creating a song that is varied in melody but united in sound. It is also noticeably darker than their contemporary material, pointing the way to Rubber Soul, "The White Album," & beyond. A funky, rock & roll boogie recorded just as The Beatles were careening from psychedelic rock to a more back-to-basics sound, "Hey Bulldog" is one of their freshest & most spontaneous-sounding performances. Part of this is because of how criminally neglected & underplayed it is, but most of it has to do with the performance in the song itself. Shifting from its offhanded, nonchalant asides of verses, it then hits you with a refrain that has all the intensity of The Four Tops' "Reach Out (I'll Be There)," based on an underlying simplicity: "YOU CAN TALK TO ME...IF YOU'RE LONELY YOU CAN TALK TO ME." What more needs to be said after this? Originally beginning life as "Hey Bullfrog," the group wisely changed it to a canine subject, shelved it, & then threw it away on the Yellow Submarine LP. It deserved much better. The closest thing The Beatles ever got to a self-contained "rock opera" (a la The Who's "A Quick One While He's Away"), "Happiness Is A Warm Gun" is a patchwork quilt of a creation, with Lennon stitching together various half-finished demos from their trip to India. Like "Strawberry Fields Forever," it began its life as a folk-picked ballad, but kept that feeling with its ominous "She's not a girl who misses much..." opening. It then takes a turn into the rocking "She's well acquainted with the touch of the velvet hand..." part, which itself lands in the hard-rock style riffing that picks up with the "I need a fix 'cause I'm going down" that then goes into the stop-&-start "Mother superior jump the gun" section. Finally, everything resolves into the lovely, ridiculous, cascading "Happiness is a warm gun" finale, which takes the malt-shop doo-wop chord progression of the '50s & turns it inside-out into a bizarre statement made out of love, lust, & revolution. Every twist & turn of the song is fully supported & hashed out by The Beatles, adding up to a complex, proficient performance that defies the cliche that "The White Album" is just a preview of The Beatles' solo careers. With the assassinations of RFK & MLK that same year--not to mention Lennon's own a dozen years later--"Happiness Is A Warm Gun" plays like a foreboding prophecy of doom, the moment at which the all-you-need-is-love ethos of the '60s became a doomed warning for the modern age.